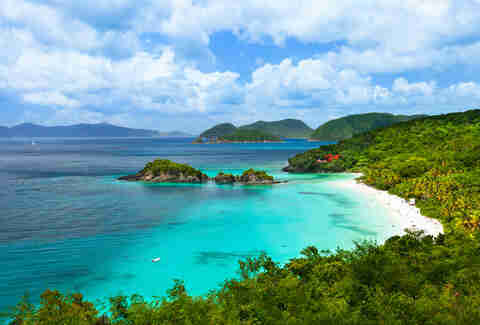 The Virgin Islands might be the most beautiful part of the US that hasn’t been overrun by visitors. Or at least, it was. Last summer hit the USVI hard: Hurricane Irma ripped through and thwomped a lot of the scenery that made this place so special. The good news: the islands are well on the way to recovery, and while not everything is back up and running, it’s still a destination worth stopping on a cruise or building a whole trip around. St. Thomas is the cosmopolitan hub of the USVI, a bustling city with far more than a day’s worth of things to do, beaches to hit, and restaurants to chow through. Here are the best ways to spend your time here. 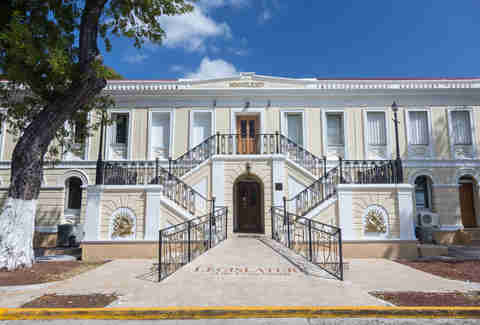 Yes, the shopping’s great, but when you want to dip into some of the island’s history, head out on a self-guided tour through the USVI’s capital. Walk through Fort Christian, a Dano-Norwegian fort that dates back to 1680, or Government House, a three-story classical white home from the 1860s that serves as the offices for the territorial governor. St. Thomas’ newest attraction is the Phantasea Botanical Garden, home to more than 1,000 orchids, hundreds of bromeliads, heliconias and gingers, palms and other flora you don’t see back home. 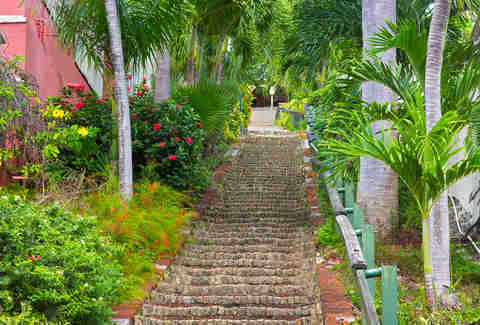 The park has taken 20 years to create and is now a serene place to escape the bustle of St. Thomas and an education in island botany. 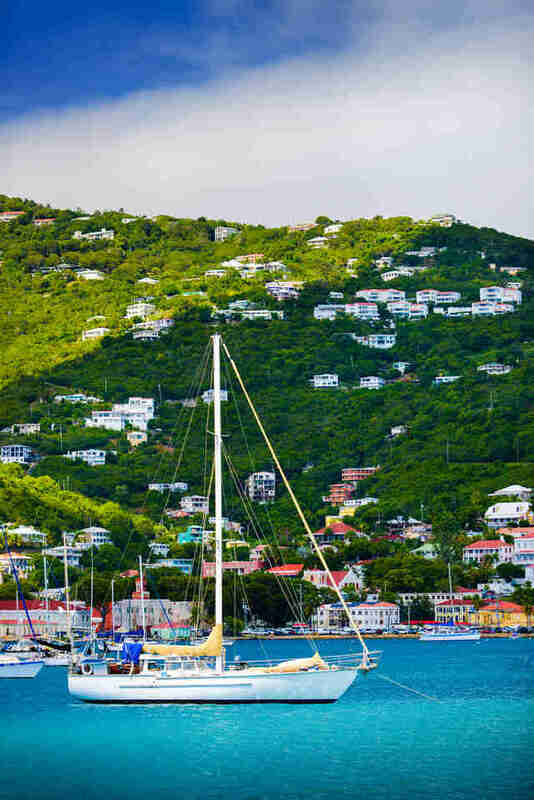 Charlotte Amalie -- the main city in St. Thomas, and home to the cruise port -- is built on steep hills, kinda like a shorter, warmer San Francisco. But the Dutch who first built the city used stairs instead of streets to keep much of the city connected. The longest staircase is the 99 stairs (actually 103, but who’s counting?) that cut through Downtown, made of bricks used as ship ballast in the 1700s and flanked by flowers. Though land constraints make it hard to build an indoor ski slope like Dubai’s, St. Thomas has its own cold-climate wonder at Magic Ice. It’s one of the largest collections of ice sculptures in America, where 16 artists from all over the world display works made of ice and snow. And, yes, there is an ice bar. While Magens Bay is the beach of your tropical vacation dreams, you’re likely to run into everyone from your ship, as well as the other ships in port and maybe a few that left yesterday. Head over to Coki, Sapphire, or Morningstar Beaches for far fewer people. The Virgin Islands is associated with their historic Jewish community about as much as they’re associated with great alpine skiing, but believe it or not, it’s home to the second-oldest synagogue in the Western Hemisphere. The sandy-floored synagogue dates to 1833, and was variously a home to Dutch, French, and Portuguese Jews forced out of Spain during the inquisition. Although the famous Skyride to the top of Flag Hill hasn’t yet reopened, you can get great panoramic views if you know where to go. 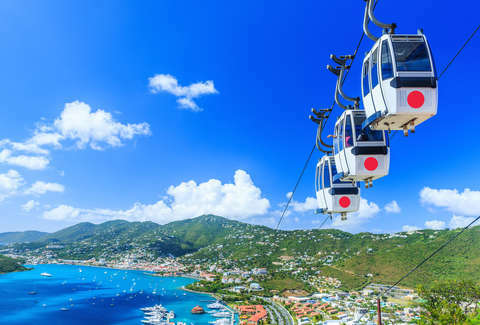 Head to the Mountain Top bar at the highest point on St. Thomas, order a banana daiquiri, then spend the afternoon on the observation deck looking out at the Virgin Islands. Water Island is the newest formal member of the US Virgin Islands, having joined just over 20 years ago. At 491.5 acres it’s rarely mentioned with the big three islands, but that’s exactly why it’s the perfect place to escape during a stop in St. Thomas. Just a 10-minute ferry ride away, Water Island is rarely crowded, with remote beaches at Limestone and Honeymoon Bay. 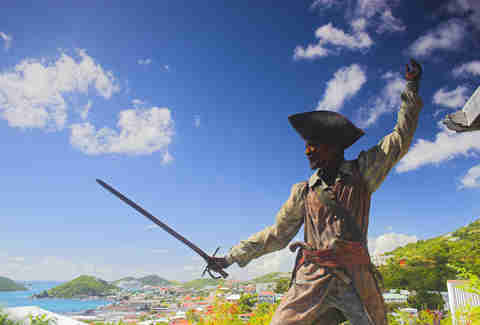 St. Thomas’ newest attraction is a museum dedicated to pirate history and the shipwrecks of the Caribbean. 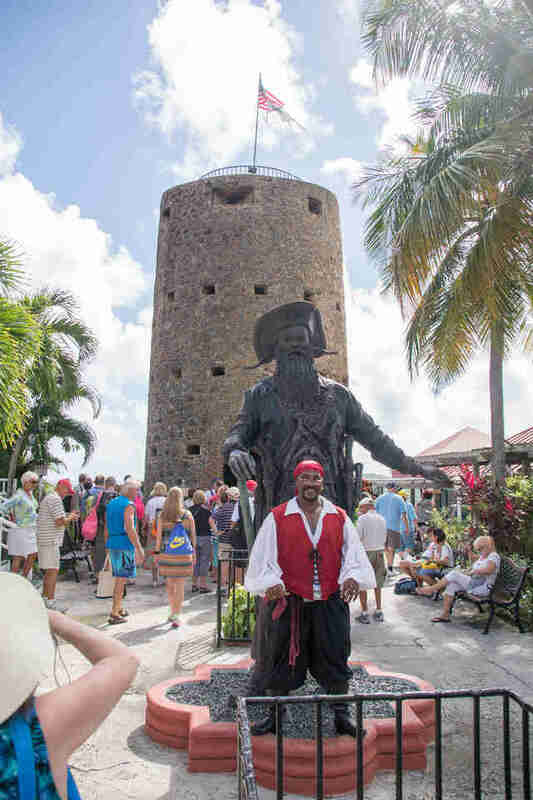 At the Pirates Treasure Shipwreck Museum, you’ll see rare coins, ancient weapons, and gold and silver bars, plus plenty of pirates for the obligatory photo ops. It’s also full of interactive exhibits where you can play with high-tech underwater exploration equipment. On the south side of the island, you’ll find the Abi Beach Bar, a waterfront eatery that’s your best bet for a quick meal with a view of the Caribbean Sea. If you have time to rent a boat, it’s accessible by water and makes a good destination for a daylong boat trip. The name “Blackbeard’s Castle” is a little misleading, since there’s no proof the famous pirate ever did anything with this place other than maybe look at it from his ship. 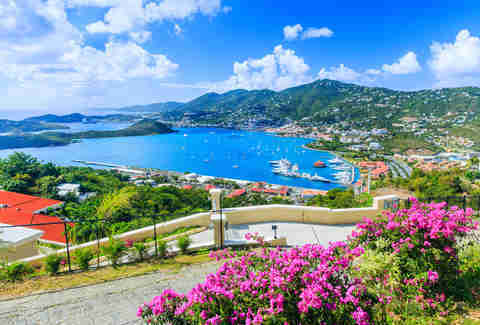 It’s actually a cylindrical tower built by Danish soldiers in 1679, where a trip to the top rewards visitors with a 360-degree view of St. Thomas. 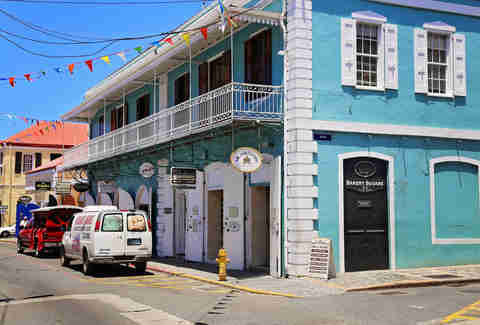 Main Street in Charlotte Amalie is like the world’s biggest duty-free shop, where alcohol, tobacco, crafts, and colognes are all available with a $1,600 duty-free allowance. For authentic, locally made items, stop by Zora of St. Thomas for a pair of custom-made sandals or head to Vendors’ Plaza for handmade crafts and artwork. Even off the beaches, St. Thomas has some spectacular scenery worth exploring. The calm, soothing rhythm of a kayak or paddleboard tour is the best way to do it. Virgin Island EcoTours will take you through a marine sanctuary to paddle under mangrove canopies, scope out tropical fish and birdwatch. 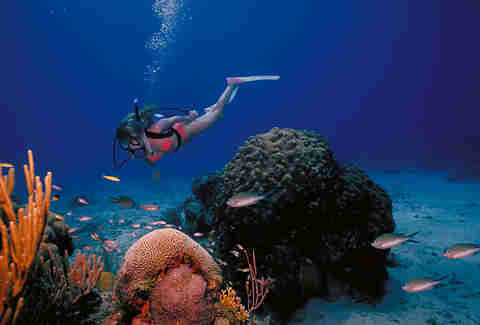 Even those without scuba certification can experience the wonders of a coral reef at Coral World Ocean Park. The 5-acre park features a trek through an underwater coral reef, snuba tours, as well as shark, stingray, and sea turtle encounters. Caribbean food, much like everything else in the region, varies widely from island to island. The best way to get a taste of St. Thomas’ specialties is to take a culinary tour, where you’ll try pates, fungi, and kallaloo while learning their historical context at notable sites around the island. A peaceful way to tour through the 80-plus islands of the US and British Virgin Islands is aboard a sailboat. If you’re not a burgeoning yachtsman, St. Thomas has plenty of tour operators who will take you out on the water for full and half-day sails. Matt Meltzer is a contributing writer with Thrillist. Follow him on Instagram @meltrez1.